For most computer users, the word “cloud” no longer means a suspended mass of particles. Instead, it’s a metaphor for the virtual world, and the idea of a converged infrastructure has definitely evolved. Businesses and individuals have access to advanced features, such as on-demand software (SaaS), cloud backup, and various forms of parallel computing. 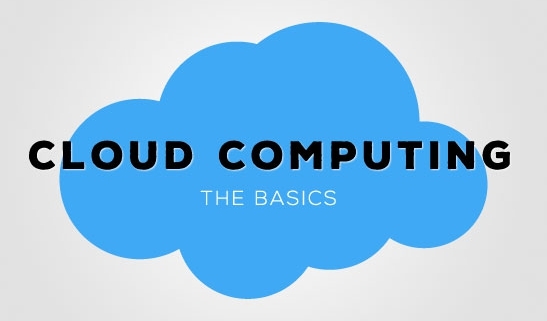 However, the fundamental concept of cloud computing has been around for decades. Mainframe computing first emerged during the mid-20th century when dumb terminals allowed multiple users to access one central computer. J.C.R. Licklider proposed the concept of a global network in 1969. He realized that people could share data from anywhere around the world, and it was this foresight that led to the Advanced Research Projects Agency Network. During the 1970s, virtualization drew upon mainframe technology to allow multiple separate systems to operate simultaneously on one physical machine. It was computer and cognitive scientist John McCarthy who first suggested delivering this technology as a public utility. Telecommunications, gas, and electric companies managed virtual private connections within one shared network. This eliminated the need to physically expand their infrastructure. Cloud computing remained in the background until the 1990s when the Internet began offering higher bandwidths. This is when businesses started to cash in. In 1999, Salesforce.com began offering enterprise application services from a basic website. This was a major turning point for the virtual world. It prompted both small and large-scale software companies to also begin delivering their applications online. Amazon Web Services expanded the trend in 2002 with cloud storage and computation services. This was followed by the developed of artificial intelligence software that was used internally. The company named it Mechanical Turk and made it available to the public in 2005. Amazon coined another big milestone in 2006. The Elastic Compute Cloud (EC2) was the first web-based service to rent virtual computers that allowed users to operate their own applications. This remains a fundamental element of the retailer’s online platform. Web 2.0 transformed the online experience in the second half of the 2000s. Not only were users obtaining information, but they also began creating and contributing to content through blogs, social networks, and wikis. In 2009, Google made headlines by offering application services with a browser-based interface. Apps revolutionized cloud computing. By tapping into the ubiquity of browsers, providers can create platforms that are reliable, easy to use, and don’t require the user to download additional software. 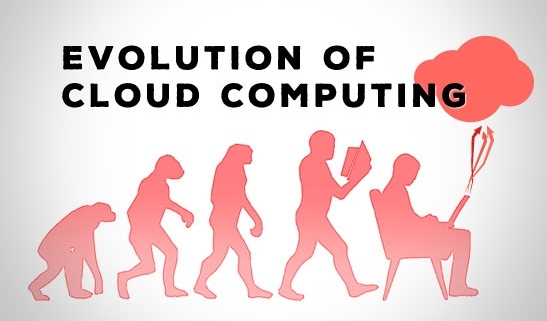 Cloud computing has evolved alongside advancements in bandwidth, virtualization, and universal software. Likewise, virtual technology is keeping up with the inevitable rise of security risk. There is not much in terms of data that cannot be safely handled through cloud, and this model is quickly becoming standard. For businesses owners, this means more flexibility, a higher storage capacity, and lower costs. As a leading provider of cloud backup services, Data Deposit Box is empowering over 60,000 customers with our innovative solutions. Give us a call to discover how we can help you outsource your entire web-based infrastructure and open up new opportunities for growth. Many early visual interpretations of the Internet displayed the all-knowing cumulonimbus cloud spewing out information. What exactly is going on in there? Simply put, cloud computing means accessing programs and cloud backup data through the Internet rather than a physical drive. Local computing means running off your computer’s hard drive. You use dedicated physical hardware to maintain the information from one computer or one network. Cloud computing means managing your information strictly online. Moreover, it exists anywhere with an Internet connection. Unless you are well versed in your company’s IT practices, it’s difficult to fully understand the complexity of this virtual space. For most individuals, using cloud services means accessing online videos, posting to blogs and network sites, and taking part in basic functions. This is not the case in the business world. For instance, Software as a Service (SaaS) is a model that allows companies to subscribe to specific programs over the web. Salesforce.com pioneered this service is 1999. The idea quickly evolved, and companies are now able to customize their own applications (PaaS) or even rent a whole web-based infrastructure (IaaS). Even smaller companies enjoy their own cloud-based niche. At Data Deposit Box, we provide innovative cloud backup and recovery solutions to give small business owners a secure way to boost productivity and mobility in the digital space. Cloud backup includes services like continuous data protection, bank-grade encryption, MSSQL solutions, open file backup, and more. Browser-based apps allow users to access information directly from a specific web browser without downloading any software. Google Drive is designed as a management and storage platform on which users can access all of Google’s services, including Gmail, Google Reader, and personal documents. Amazon Cloud Drive is primarily used to store music purchased through the company’s online retail store. Apple iCloud synchronizes Apple devices and stores online media files. Instagram is a popular platform for sharing individual photos. Facebook has millions of subscribers who are able to access, edit, and contribute to its cloud-based network. Much of the criticism against cloud technology revolves around one of three things: cost, privacy, or security. Each innovation requires higher bandwidth, and the price for Internet service is only increasing. Some critics are hesitant to put all their cards on the table or, in this case, in the cloud. They are fearful of loss, crashes, breaches to intellectual property. In 2011, the Institute of Electrical and Electronics Engineers actually launched a global initiative to promote education and propose a standard for cloud computing. For right now, users need to focus on securing services from a provider they can trust. At Data Deposit Box, we address many of these major concerns and offer our customers the highest level of security and innovation. Give us a call or email us at sales@kineticd.comto learn about our products.